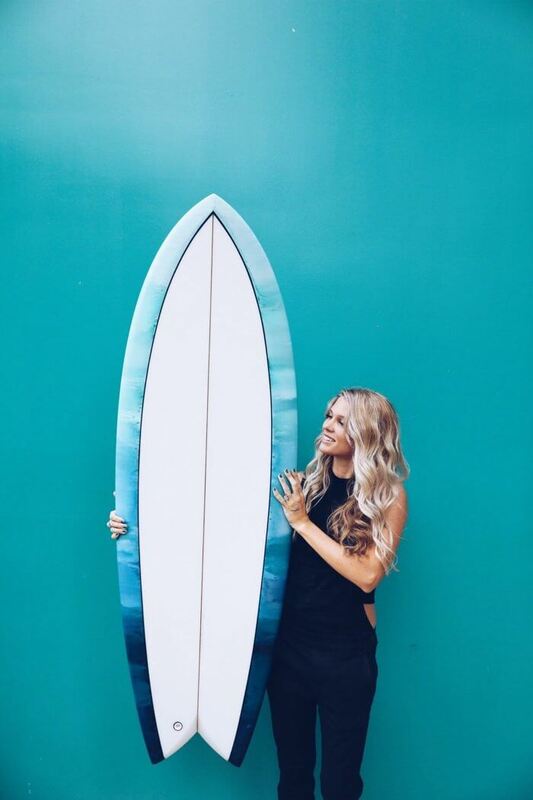 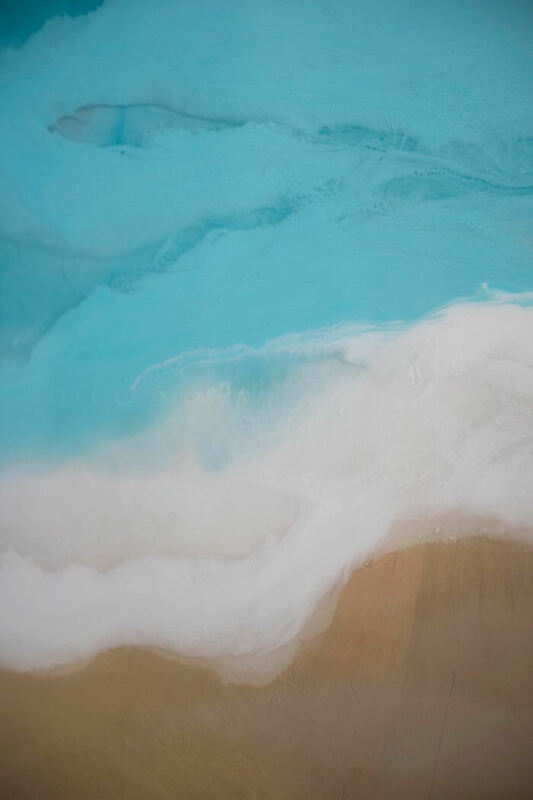 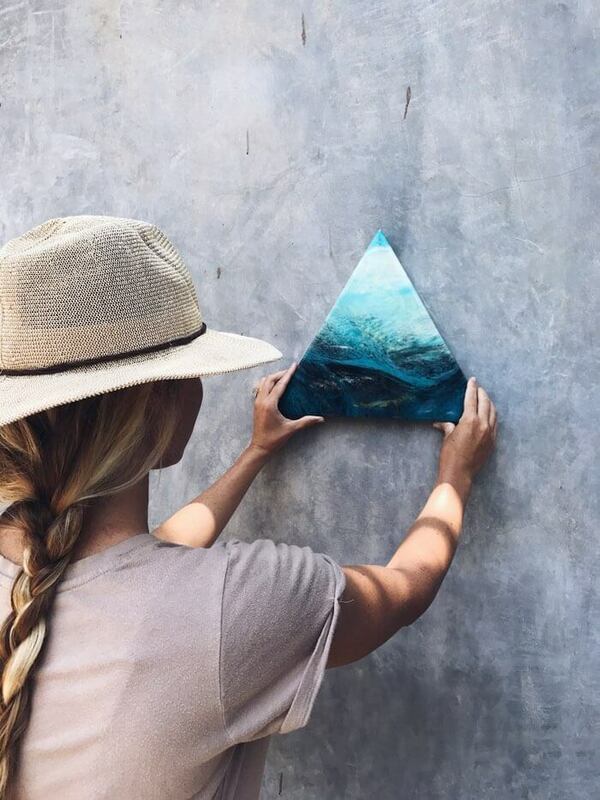 Bree Poort is an artist based on the North Shore of Oahu, Hawaii. 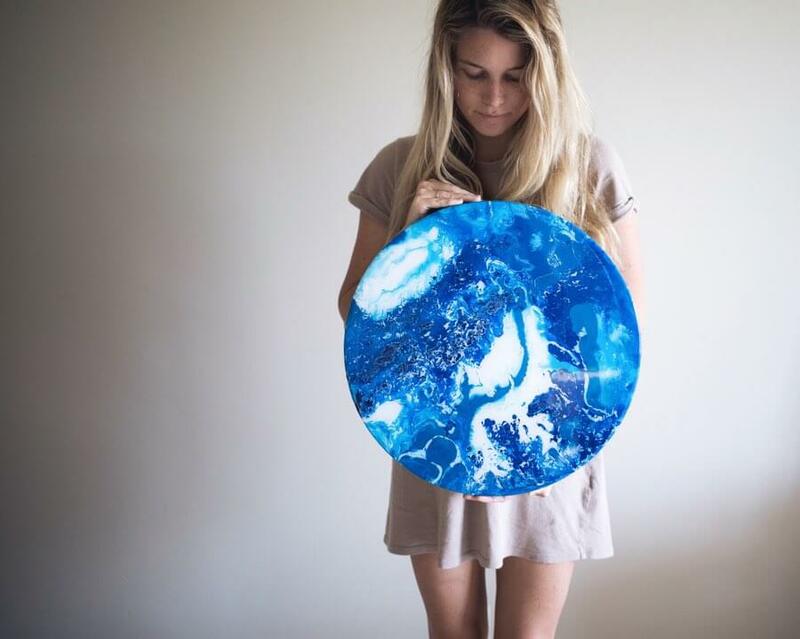 She grew up in San Clemente, California until she moved to Oahu to study art in college. 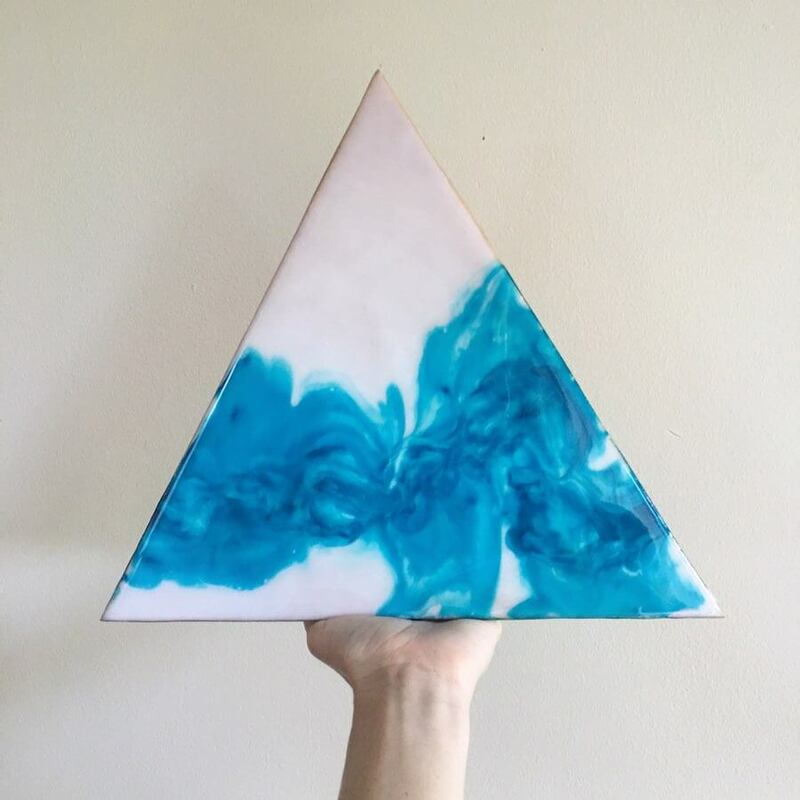 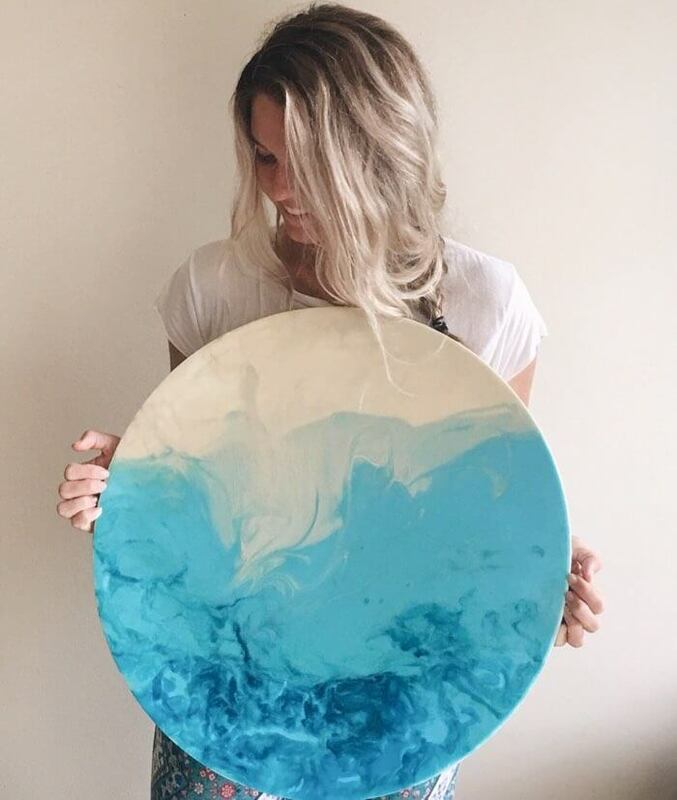 Just before graduating in 2016, she started her career in resin and now sells her art all around the island in local cafes, galleries and shops. 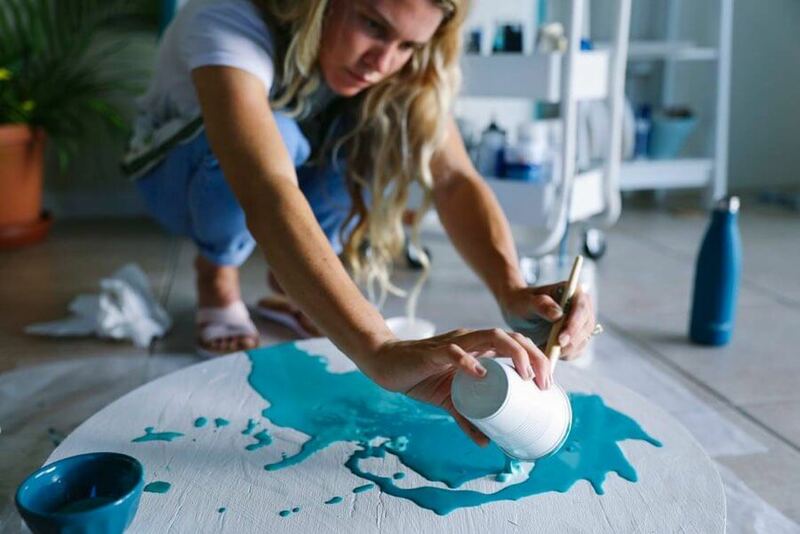 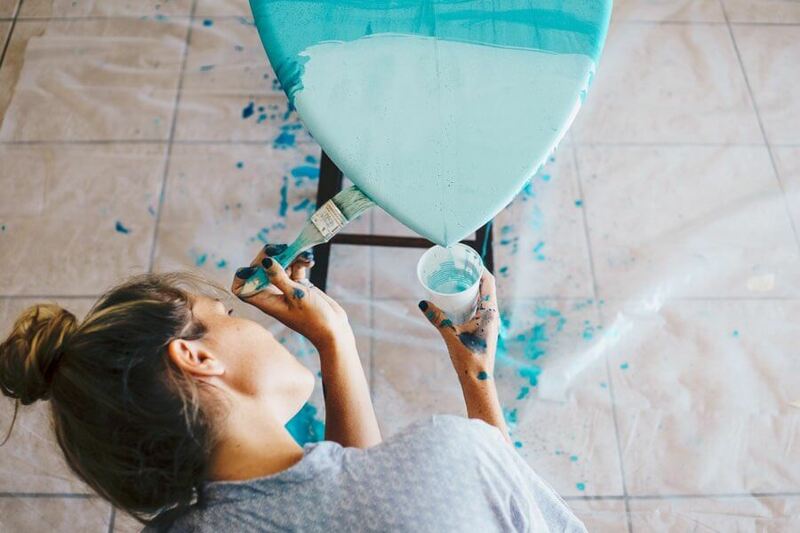 Her career has led her to work with Adidas in designing shoes for a women’s charity, painting surfboards and painting 30 sq. 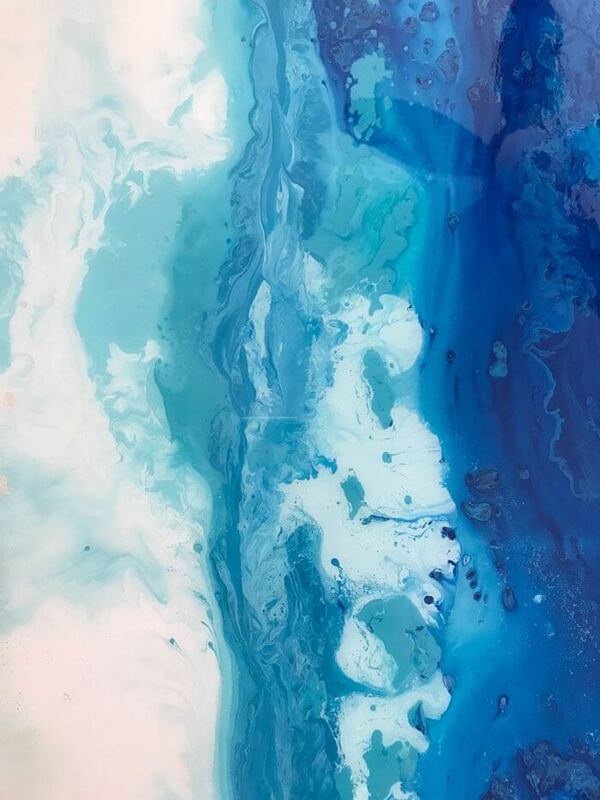 feet paintings on commission. 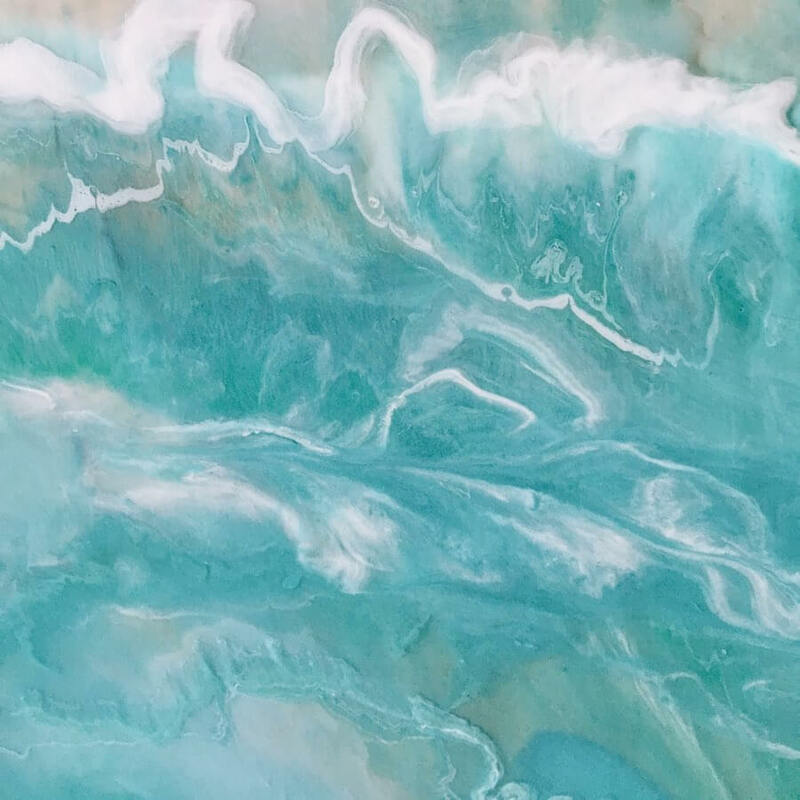 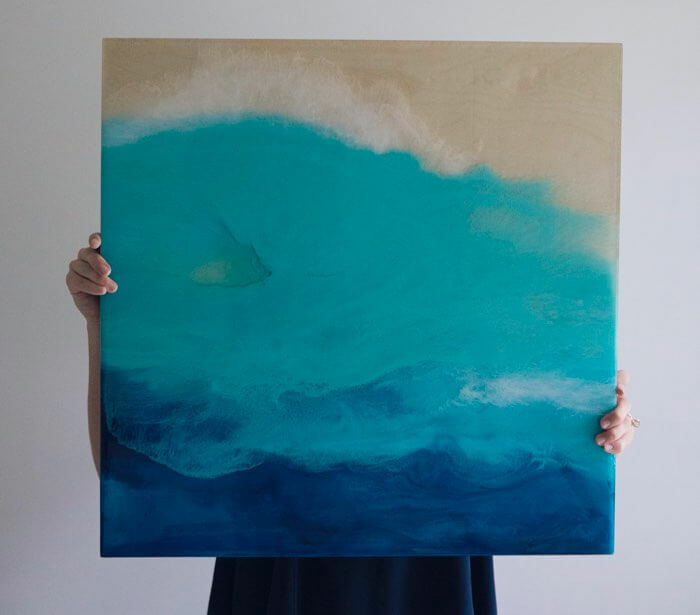 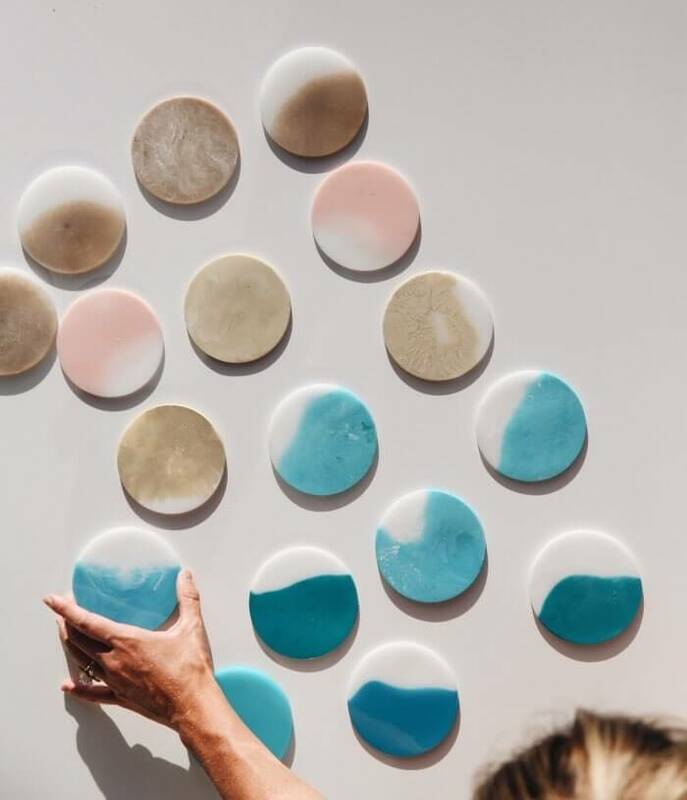 Her resin pieces are solely done through the bird’s eye view of the ocean using inspiration she captures with her drone and colors she sees while surfing. 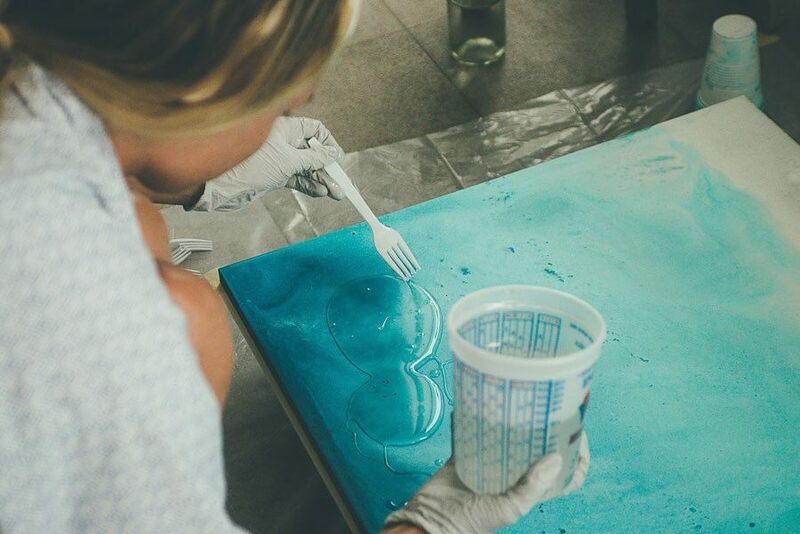 Bree paints 5-7 layers of resin on each piece giving them a nice depth and texture under the final glass coating. 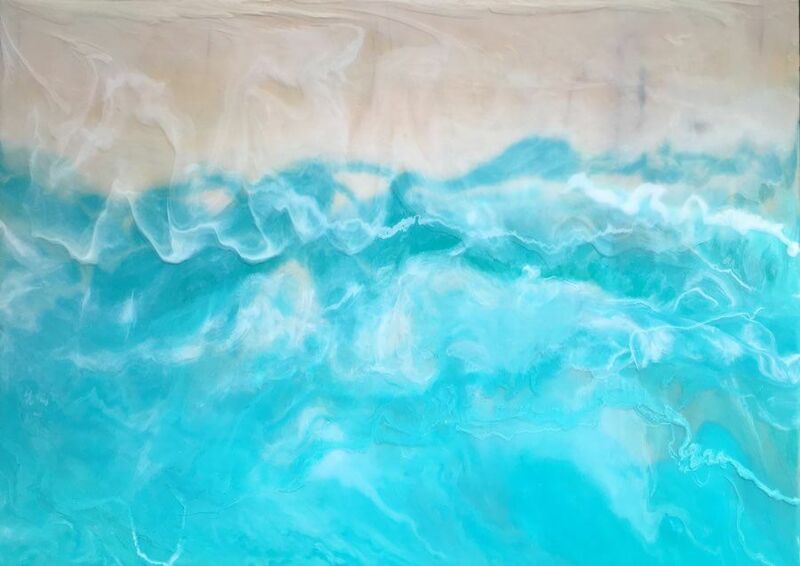 She hopes to evoke the emotions of peace and clarity when viewing her works of art.